Combination of active and inactive Bs providing the body with variety of different forms. Our BioActive vitamin B complex supplement provides a full range of essential B vitamins. We've blended our supplement specially, providing inacitve and active forms of certain B vitamins. Bioavailable forms of B vitamins provide optimum absorption. 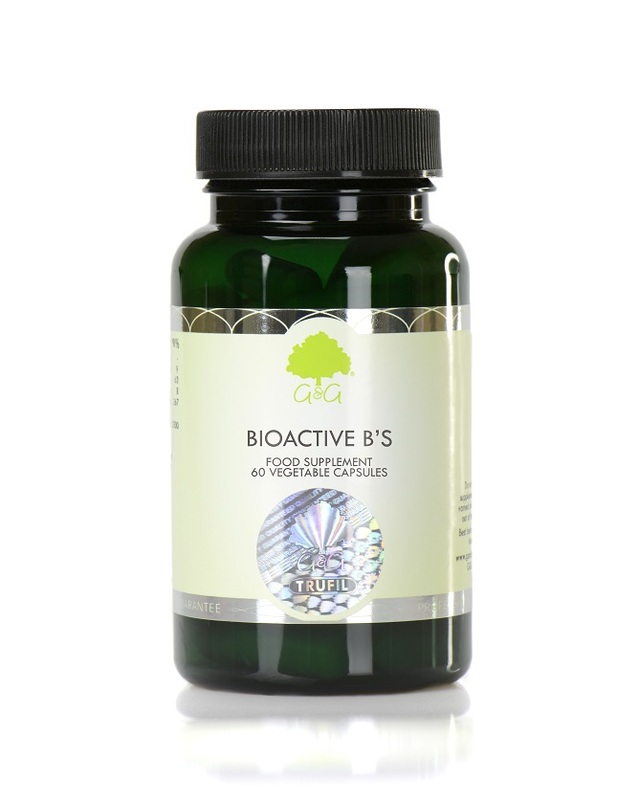 BioActive B's provides B vitamins in the ideal ratio for the human body. Included within this Vitamin B Complex are the six numbered vitamins (B1, B2, B3, B5, B6, B12). This product is ideal for simplifying the process of taking individual B vitamin supplements. The B vitamins are a family of water-soluable nutrients that play an important role in almost every biochemical process that occurs in the body. B vitamins cannot be stored by the body, which is why it is important that they are a standard part of the diet in order to avoid deficiency. It is also important to monitor your B vitamin intake if you follow a diet that does not include meat or fish as some B vitamins, such as B12, are found predominantly in meat and fish. Our Vitamin B supplement comes in the form of a vegetable cellulose capsule. This enables us to offer a supplement that does not require any unnecessary chemicals, excipients, binders or unnatural fillers. A vegetable cellulose capsule is designed specifically to break down naturally within the acid of your stomach, ensuring that the nutrients are absorbed during digestion. Our Vitamin B Complex is suitable for vegetarians and vegans. It is also approved kosher. Long term intake of vitamin B6 at this amount might lead to mild tingling and numbness. Nicotinic acid (niacin) can cause a slight flushing. This sensation is normal and will pass in time. Individuals with hepatic dysfunction or a history of liver disease, diabetes mellitus, active peptic ulcer disease, gout, cardiac arrhythmias, migraine headaches and alcoholism may be particularly susceptible to nicotinic acid effects.